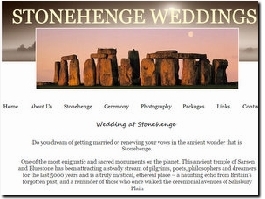 Mark Gutteridge, an independent celebrant helping couples plan and perform ceremonies in outdoor locations, including Stonehenge and Avebury stone circles. Do you wish to have a unique and meaningful ceremony at a non-registered venue? At Whakanui we help to create and conduct a unique and meaningful wedding or family celebration ceremony for you. Allowing you to celebrate the way you want too, anytime, anyplace, and anywhere. East Sussex based celebrant Claire Robinson specialises in Handfastings, civil partnerships & renewal of vows. Claire promises a warm, memorable and heartfelt ceremony tailored to the client. Professional marriage and family celebrant dedicated to bringing people together in love, life and laughter – anywhere, any way, any how! I am a Civil celebrant for Suffolk – providing my services for weddings and civil partnerships for everyone, hand fasting ceremonies, naming ceremonies, renewal of vows and commitment ceremonies.